Washington, D.C. - U.S. Senators Pat Toomey (R-Pa.) and Bob Casey (D-Pa.) today announced that the U.S. Department of Transportation has funded a TIGER Grant to expand Philadelphia's 30th Street Station. 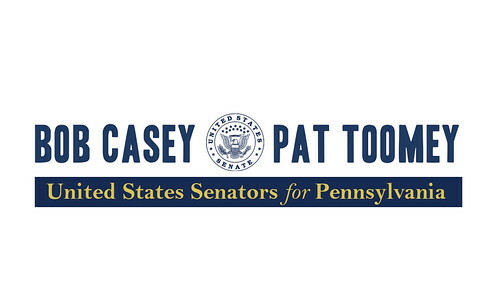 Senators Toomey and Casey sent letters of support for SEPTA's application for the $15 million grant. "Congratulations to SEPTA and the City of Philadelphia on this substantial grant award," said Senator Toomey. "This grant will finance improvements that makes travel in the city easier for millions of commuters and visitors, and help to accommodate increased traffic from the Schuylkill Yards project. I was glad to support SEPTA's application for this grant and thank Secretary Chao and the Department of Transportation for their support." "I've long supported efforts like this to strengthen the region's infrastructure," said Senator Casey. " I was proud to appeal directly to Secretary Chao in support of this grant and look forward to seeing the benefits of DoT's investment in SEPTA. I will continue to look for ways to help grow Pennsylvania's transportation networks and boost the local economy."